You might guess that I’m not a big fan of the microwave and you’d be guessing right. First and foremost, I am concerned about the effects of a radiation box in my home. And honestly, I have never cared for microwaved food. It’s just not as good. It’s always uneven- burnt on one side, frozen on the other. It’s impossible to get anything crispy, despite the paper fold-up sleeves designed to magically make it happen. It’s useless. Some elements of culinary technique simply are not available by way of this artificial method of heating. It’s just the way a microwave works. 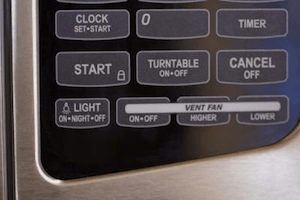 Unlike traditional ovens, which cause changes in the actual temperature to heat food, microwaves use electromagnetic radiation to agitate molecules. This agitation causes vibration and that generates heat. Now, observers of space will attest to the presence of radiation in our universe. So in that sense, it is natural, but keep in mind we’re literally searching space for a justification to say that. Exposure to radiation is not good for your health. Not surprisingly, there has been a lot of back and forth debate over whether or not microwave radiation is damaging. You can search PubMed http://www.pubmed.com/ and find research on the subject but you can also simplify the process by just answering the following question. If a microwave the size of a living room existed, would you be alright with getting inside and turning it on “high” for a minute or two? Me either. Thing is though, it always counts. Every meal you eat, especially if you’re eating with loved ones, should be prepared on purpose and with purpose. Things get hectic and schedules are busy but there are also natural foods of convenience that can be had during those times. And if you’re finding that you’re always in the middle of chaos and “have to” microwave food because you’re on the go, it might be time to regroup, refocus, declutter, and get back on track. The Body Cleanse Starter Kit is your ticket to fresh rejuvenation and contains everything you need to cleanse your liver and colon. If you're looking for an easy plan that is cost effective and doesn't require major lifestyle changes, the Body Cleanse Starter Kit is for you! If you and your microwave are best friends, or even just good acquaintances, I challenge you to eliminate all microwave use for one month. Make it a New Years resolution. Switch to using an oven or toaster to heat your food and water. Or, if you really like, fire. Try it. And let me know how it makes your life different. I want to know how it affects your food decisions and the mechanics surrounding your meal time. Perhaps you could even do without any cooked food and adopt a raw vegan diet for month. Now, how do you think that would affect your health? 1. Stephanie Butler. Natural history of the kitchen: food processor http://www.eatmedaily.com/2010/06/natural-history-of-the-kitchen-food-processor/. Eat Me Daily. 2010 June 1. 2. The Harvard Medical School. Microwaving food in plastic: dangerous of not? http://www.health.harvard.edu/fhg/updates/update0706a.shtml Family Health Guide. 2006 July. 3. Katherine Zeratsky RD LD. What is BPA, and what are the concerns about BPA? http://www.mayoclinic.com/health/bpa/AN01955. Mayo Clinic. 2010 December 2.